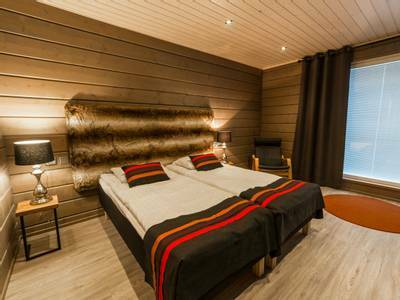 Spending Christmas at Wilderness Hotel Inari is very special. 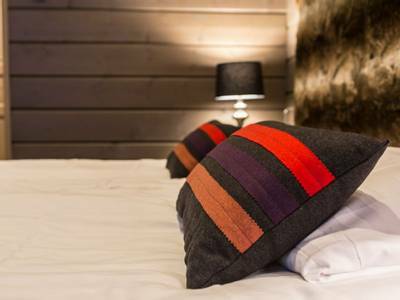 You can get away from the pressures of the festive season and enjoy a white Christmas in stunning surroundings. You won’t have to worry about pleasing the relatives (unless you bring them along) or the festive food shop (the food at the hotel is excellent). Here, the afternoon turkey-induced comas and Christmas special viewing marathons are replaced with the thrills of Arctic activities and Northern Lights hunts. You can still enjoy festivities of course, but this certainly will be a Christmas to remember. 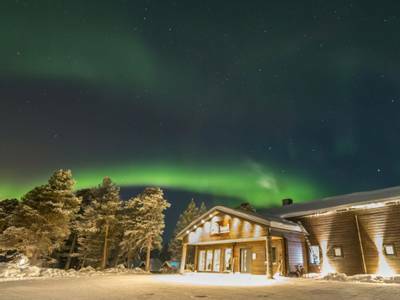 Situated on the shores of Lake Inari in Finnish Lapland, Wilderness Hotel Inari offers an unforgettable base for a Christmas week packed with amazing experiences. 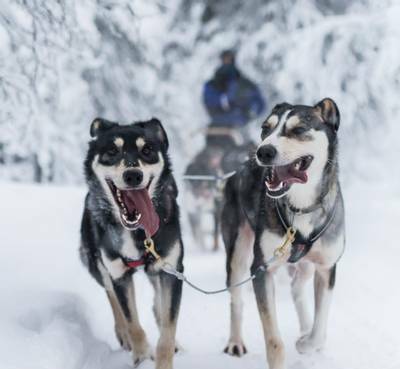 From dog sledding and snowshoeing to dedicated Aurora hunts, you’re sure to create special memories from your Christmas break. 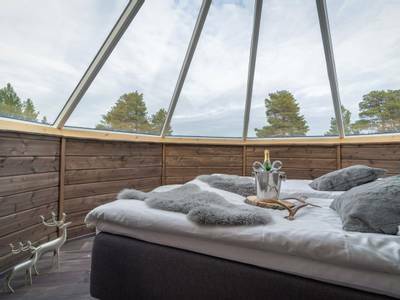 When it comes to locations, Wilderness Hotel Inari really is set in one of the most spectacular. On the edge of a vast frozen lake, the views can really take your breath away. 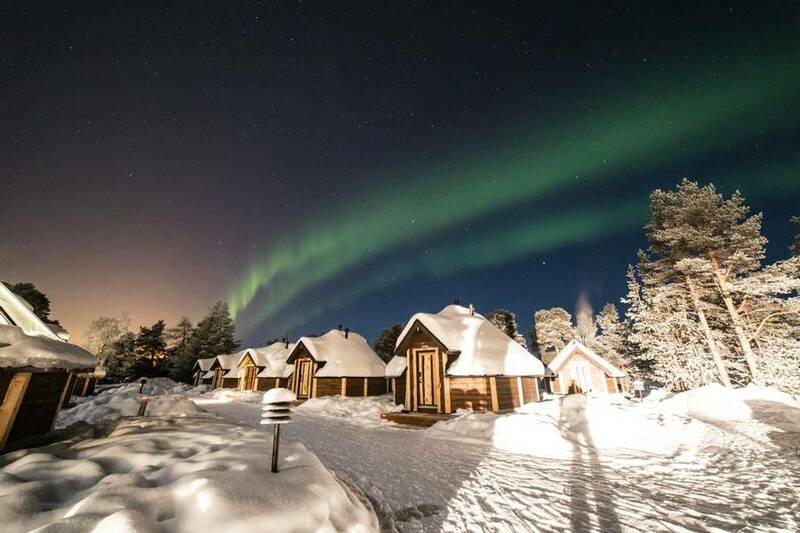 We are thrilled to offer our guests the chance to spend seven nights in this winter wonderland over Christmas; hunting the Aurora at night and enjoying Arctic experiences by day. 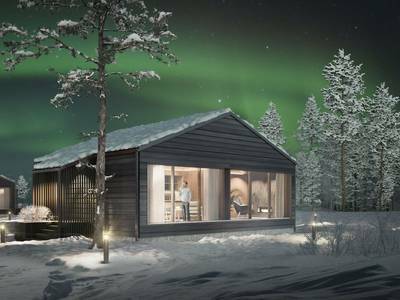 Renowned as an amazing Northern Lights destination, this is heaven for those who want to combine Northern Lights potential and adventures. 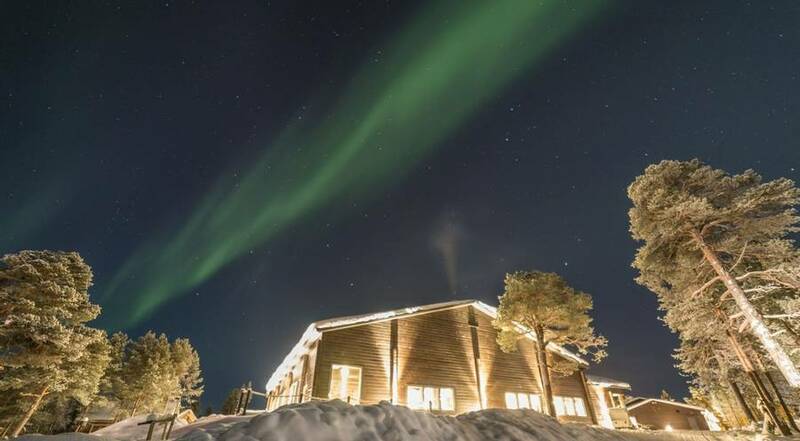 The lights can often be seen from directly in front of the hotel and the innovative Aurora alert system in place here is designed to aid you in your search, even when you are not out on an evening activity. 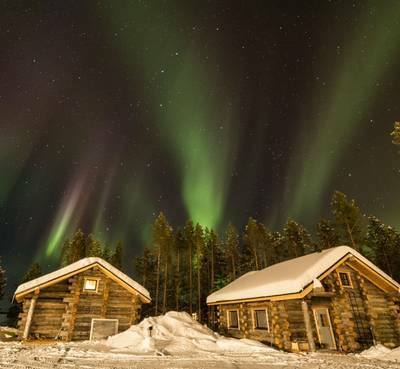 The dedicated hunts will all take place in the company of expert local guides who will use their knowledge to help ensure you have the best possible opportunity to see the Northern Lights. 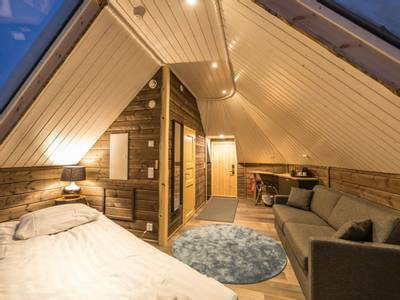 On two nights you will travel to dedicated camps in prime viewpoints in the hope of witnessing a display. 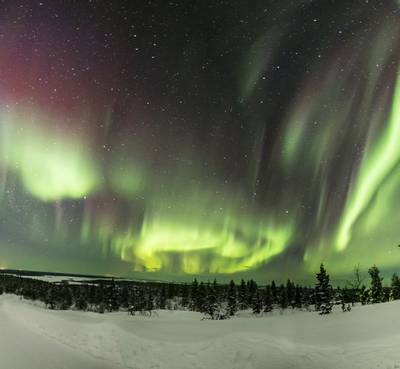 You will also take to trails on snowmobiles to try and track down the lights and will lastly use the mobility of a minibus or car to hunt the Aurora and hopefully outrun any localised cloud cover. During the day we offer a great balance of free time and activities to make sure that you can make the most of your holiday but still return feeling relaxed. 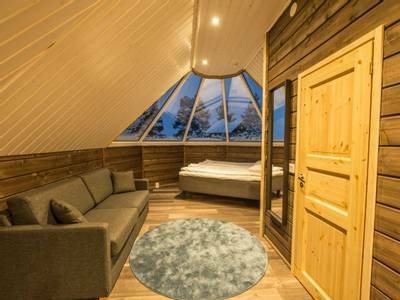 We include all the highlights such as dog sledding, a visit to a reindeer farm, visiting the famous Sámi Siida Museum and a cross-country skiing lesson. 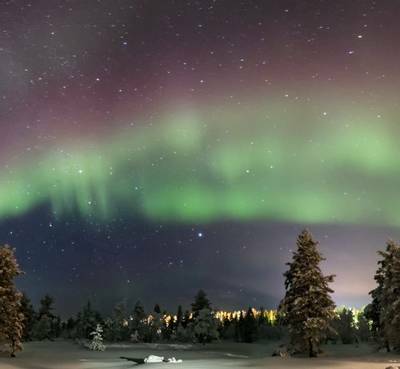 With festivities taking place on Christmas Eve (when the Finns celebrate Christmas) to just finish off this wonderful itinerary, we can think of few better places in which to spend the festive season. 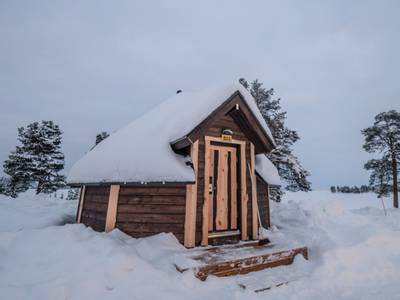 Upon arrival at Ivalo Airport, you will be met by your transfer driver and driven to the hotel on the shores of Lake Inari, around 40 minutes away. 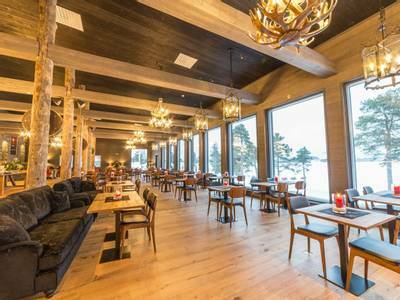 You can then check in and enjoy your first evening meal in the stunning restaurant with panoramic windows which face the vast frozen lake. You will also be provided with your cold weather clothing, final itinerary (the order shown here is always subject to change) and Aurora alert. Be sure to take a walk to the lake tonight, the Aurora may well appear and welcome you to Lapland. To really appreciate your new surroundings, you need to explore on foot. Now, admittedly if you tried to walk in the snow here in boots, you’d sink pretty deep, so that is where snowshoes come in. You will set off on a walk lasting around four hours (including a campfire lunch – weather permitting). You can soak up the wilderness and enjoy the peace of this special place as you travel at a leisurely pace, taking in the flora and fauna as you go. Tonight, you will be treated to Finnish Christmas festivities as the Finns celebrate on Christmas Eve. A delicious meal featuring some local traditions will be served for guests. 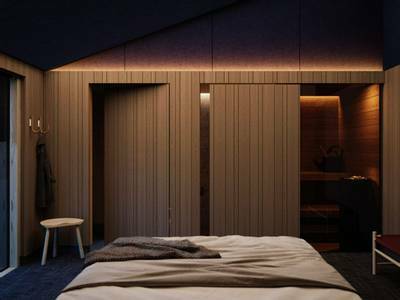 The Sámi Siida Museum is a famous attraction and is located in Inari, just five minutes by car from the hotel. 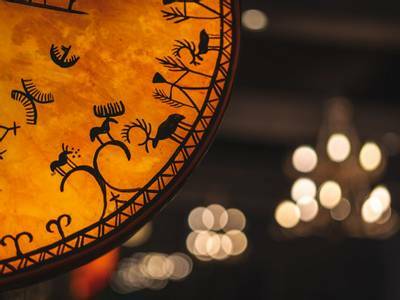 It offers insight into the Sámi culture, both in the past and present. The displays are fascinating and provide a background on the flora and fauna of the area. 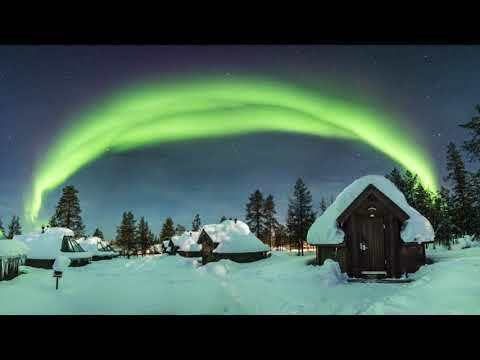 There is also a presentation of local Aurora photography. You will be transferred to the museum for your visit today before returning to the hotel for lunch. 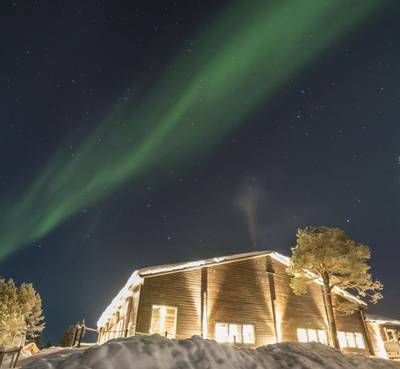 The guides at the hotel (and their sister hotels in the region) have set up a network of Aurora Camp destinations in prime Northern Lights territory. 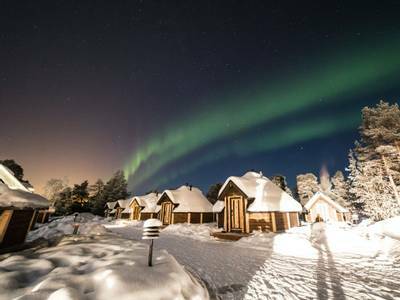 Travelling either by car or by snowmobile sleigh (depending on the location of the camp) you will head to one of these camps after dinner this evening. 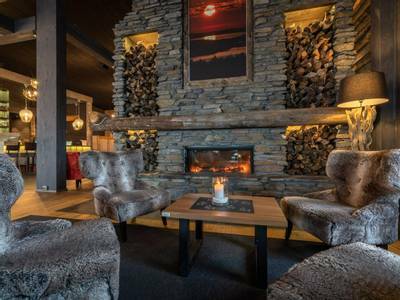 A fire will be lit and warm drinks served, as you gaze up at the unobstructed views of the night sky in the hope of catching an Aurora display. You will be out for around 2.5 hours this evening. 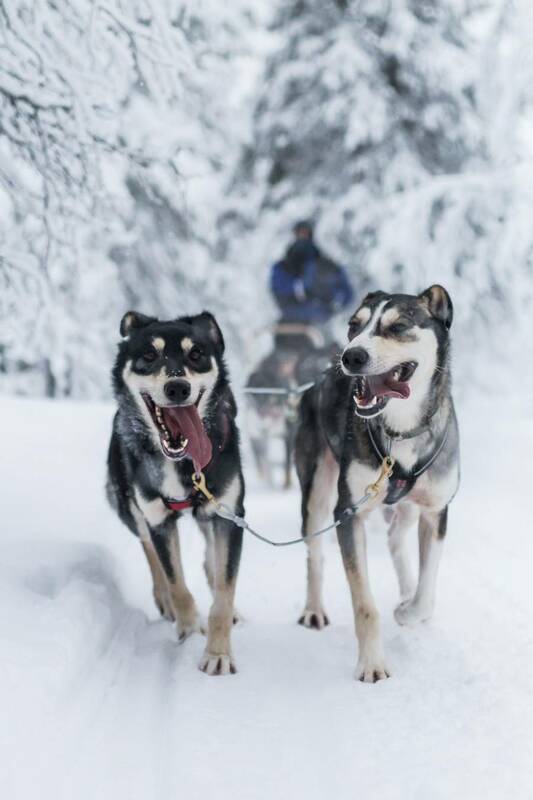 Dog sledding is one of the activities which is most synonymous with the Arctic. 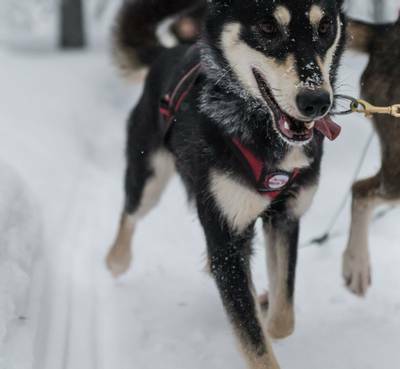 Very few experiences can compare to the delight of being pulled across a frozen lake by a team of eager huskies. You’ll typically meet the dogs on the lake just down from the hotel. You will certainly hear them before you can see them, as their excitement for the trails means they make a fair amount of noise. A lesson on how to control the sled and a safety briefing will be given before you are provided with your team. 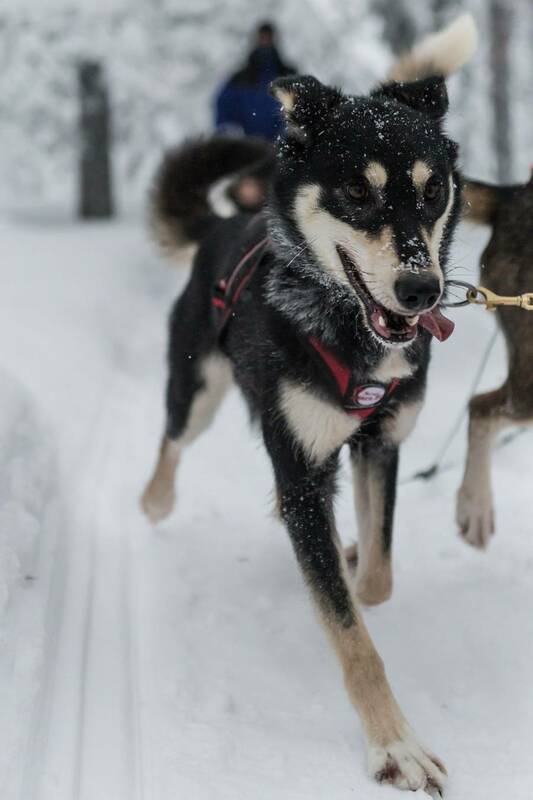 Your guide will then release your ground anchor and then you’ll be off out across the lake, travelling two people per team (one sitting and one controlling the sled; there will be the chance to swap half way). Lunch will be served in the restaurant, either before or after your adventure. The safari will last around 1.5 hours in total and there will be some time at the end of the safari to meet the dogs and take photos. The daytime today has been left free for you to tailor your time. 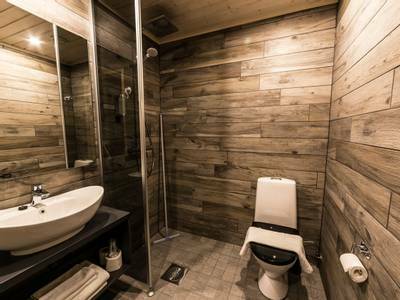 You may simply want to relax at the hotel or perhaps enjoy the sauna. 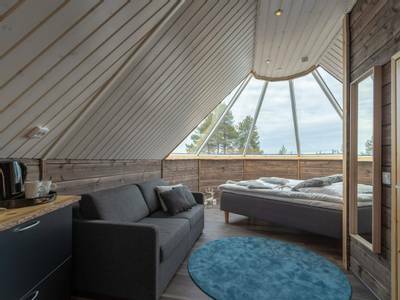 Alternatively, additional activities may be available locally or you could take a walk into Inari. Your meals will be served in the restaurant as normal. 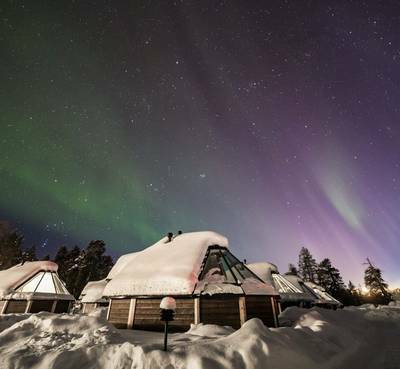 Tonight, the action starts again with a snowmobile safari in search of the Aurora. 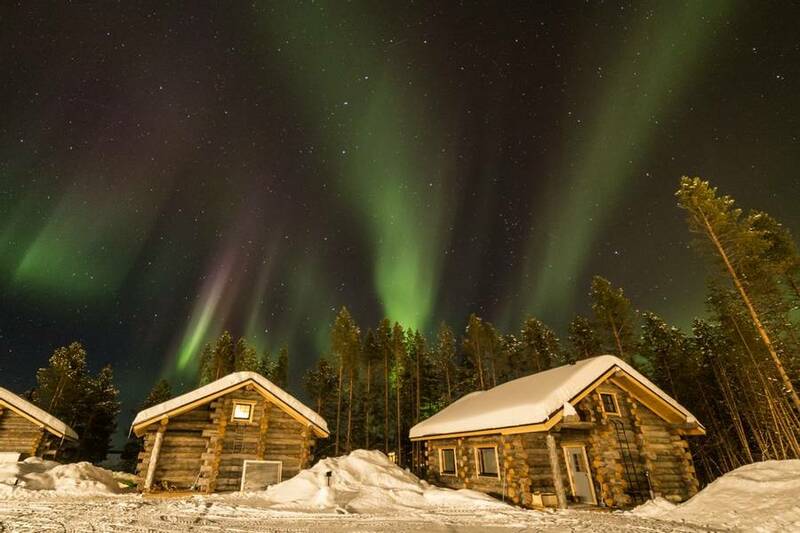 Snowmobiles are a very popular mode of transport in this region and are an excellent way to hunt the Northern Lights. After a full safety briefing and a lesson on how to handle the snowmobile, you will set off in pairs, following your guide on the marked trails. You must be over 18 and hold a full driving license in order to drive a snowmobile and you can swap places at the halfway point so that both can experience the thrill of driving. Using their knowledge, your guide will lead you to an Aurora viewpoint. Warm drinks will be served and with luck, the lights will be dancing overhead. Cross-country skiing is one of those activities which Finns take up as children, so it would be rude not to give it a try. You don’t need any form of experience on skis to enjoy this activity as full tuition is provided. Once the group has got to grips with the techniques required, you will take a turn around the trails near the hotel. In total this activity will last around two hours. If you have yet to see the Northern Lights, then tonight’s Aurora hunt should provide an excellent opportunity. Travelling by car or minibus, your expert guide will lead the hunt this evening using the latest Northern Lights and weather forecasts to select the best route. 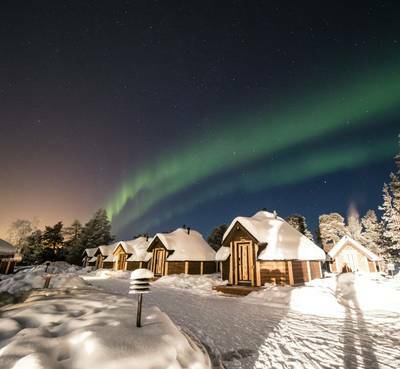 This may mean travelling to an Aurora Camp near the hotel or heading further afield. The mobility provided by the vehicle means that you should hopefully be able to outrun any localised cloud cover. All in all, you will be out for around 2.5 hours. Reindeer herding remains an integral part of life in Lapland and an encounter with reindeer is certainly an integral part of any Christmas holiday. You will be transferred to a local reindeer farm where a herder will explain what day to day life is like for them and their animals. The significance of reindeer herding to the local economy and culture will also be apparent. Of course, you will also get the chance to spend time in the company of reindeer at the farm. The experience will last for around 2.5 hours. 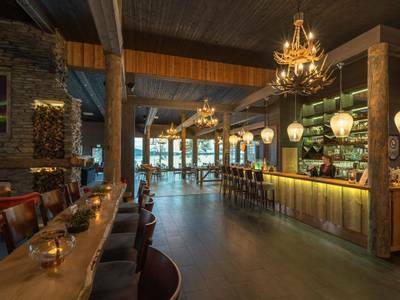 Back at the Wilderness Hotel, you will enjoy your final dinner in the restaurant before your last Aurora hunting experience. 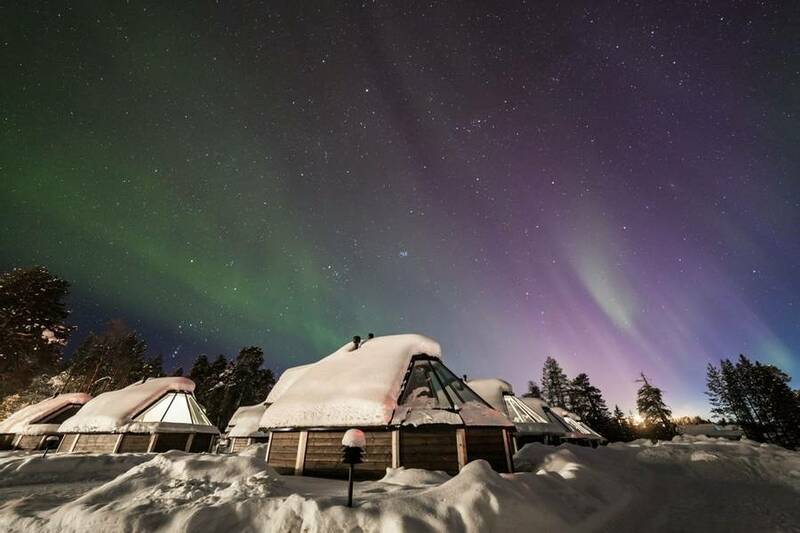 This evening you will head back out to one of the Aurora Camps for a final night of searching the skies. 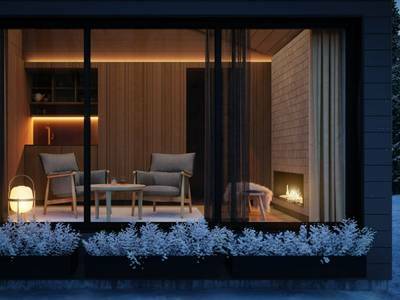 It is the ideal spot in which to gather with other guests and contemplate all the experiences you’ve had over the week, as you hopefully await the start of a display. With a little luck, the Aurora will appear above you to bid you farewell. Today it is time to wave farewell to the Arctic and you'll head home in time to celebrate the New Year.